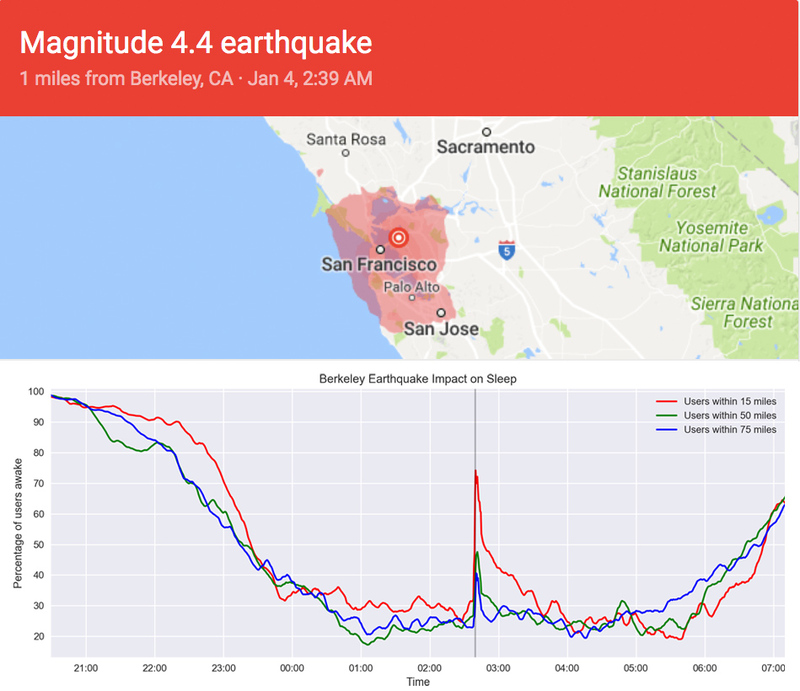 How the Berkeley earthquake impacted sleep patterns around the Bay Area | News | Fullpower Technologies, Inc.
Did you feel the earthquake last night and did you wake-up? We felt it all the way in Santa Cruz, our dogs woke up first, they felt something and then we both woke up as the bed was shaking. On the lower graph, you can see the percentage of sleepers within 75 miles of the epicenter who woke up. And you can also see that it takes a while to get back to sleep. Courtesy of Sleeptracker!